The Championships has rejuvenated what had become a tired racing scene in New South Wales, and all involved are to be applauded. 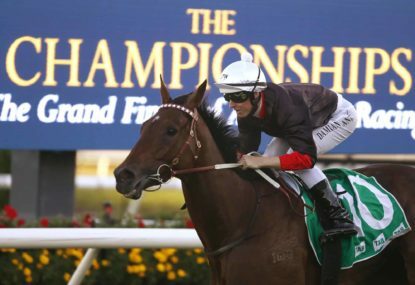 Day 1 of the The Championships are upon us, with four Group 1 races, headlined by the Doncaster Mile and TJ Smith Stakes. Top class fields have been assembled. Today, we’ll look at the Doncaster and the Sires. Where do we even begin in a race of this depth and quality? Let’s start at the top, given the top three saddlecloths are all coming off competing in the All Star Mile at Flemington, dropping back from weight-for-age conditions to a handicap. The All Star Mile is going to grow as a race in its own right, and hopefully we continue to see the high class horses from that event continue up to Sydney. The winner Mystic Journey isn’t here, but Hartnell, Alizee and Le Romain ran second, third and fourth respectively with less than half a length between them across the line. All are big names in their own right. Le Romain is better advantaged at the weights here, and is also better suited in any wet conditions, but is well over the odds of the other two. He does find it tough to win though. We know Alizee has the star quality, and Hartnell continues to be brave, honest and classy. 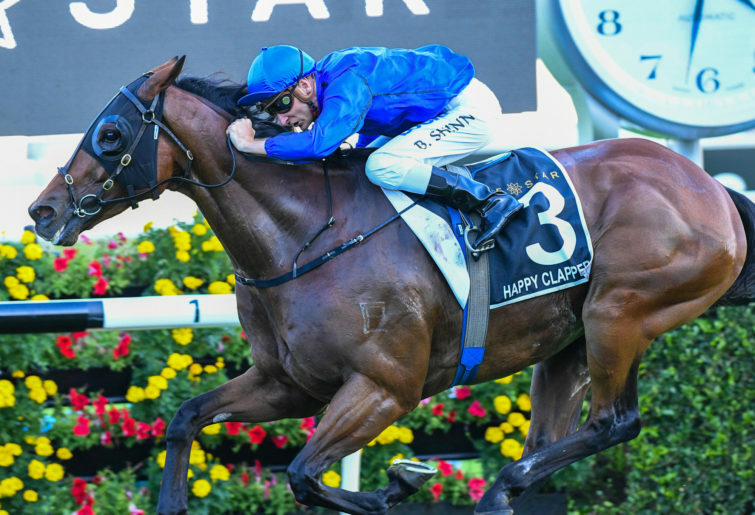 The Doncaster is renowned as a three-year-old’s race, and Brutal has come up favourite after his second to Winx in the George Ryder accordingly. He drops a whopping 7kgs off that run, but it must be said the depth in the race wasn’t at the usual standard given the All Star Mile is now on the scene. Also presenting here from the George Ryder are Land of Plenty, So Si Bon and Dreamforce. Land of Plenty can improve and turn the tables if the ground is dry. 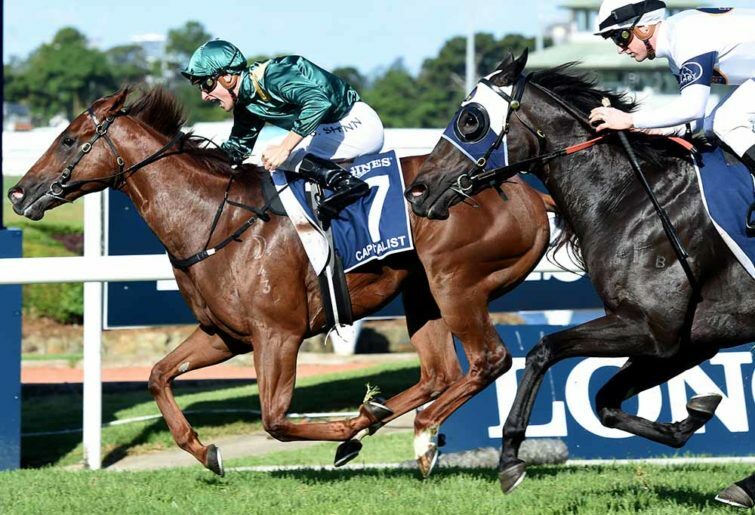 So Si Bon is in the same boat, and does have Fifty Stars and Australian Cup form this prep. Dreamforce rarely runs poorly, but it’s hard to see him beating them all. Looking at two other three-year-olds, Fundamentalist and El Dorado Dreaming are outstanding fillies, in a season in which they have been better than the colts overall. Fundamentalist has run second to Nakeeta Jane in the Surround and The Autumn Sun in the Randwick Guineas at Group 1 level at her last two starts, and will take some catching when she goes forward. El Dorado Dreaming was third in the Surround, and followed that up with an eye-catching second in the Coolmore against the older mares. They are well and truly up to this level. Dixie Blossoms won that Coolmore in dominant style and suits up in the Donnie. She’s rarely run in open company across her career, and it’s going to be tough for her to break through doing so here. I Am Serious was favourite in the Coolmore, but never got going and now has to bounce back. Aloisia ran well from a long way back, and it wouldn’t shock to see her finish top five. Other mares in the race are Shillelagh, Unforgotten and Eckstein. Unforgotten is the most fancied of these, and Chris Waller loves dropping his horses back from a 2000m run into these big mile races. She was beaten a length behind Hartnell in the Epsom and meets him 2kg’s better for it. Shillelagh will need it as dry as possible to unleash her finishing burst, but is always capable. Eckstein does have a win over Brutal this prep, and can produce on her day. Fifty Stars is a four year old on the rise, formerly with Darren Weir and now with Team Hayes. His win last start in the Ajax had to be seen to be believed given he was going backwards at the 300m, but launched late to get the chocolates. He’s third favourite here, and the heavier the track the shorter he’ll be. A Life Less Ordinary strikes this race first-up since December, which doesn’t compel as a winning formula and he’s not good enough anyway. Siege of Quebec doesn’t want it wet and doesn’t quite have a win at this level in him. Widgee Turf always runs well in black type races with huge weights, and in fact hasn’t carried less than 58.5 for over a year. You could do worse at 30-1 or so, with only 52kg’s on his back. Kluger is a Japanese raider who hasn’t won for three years. Surely the ATC can lure better talent than this. If any of the emergencies gain a run, Ringerdingding is the best placed to figure. His fourth in the Australian Guineas behind Mystic Journey was very good, and that filly ties him into the class horses at the top. He’ll need it dry though, if he gets in. Fundamentalist may lead the race, with Brutal not far away. The three-year-old’s will want to make use of their light weights. Siege of Quebec will no doubt push forward from a wide barrier, and Dreamforce will also be one of those that shapes the early stages up on the pace. Le Romain likes to take a position on the speed as well. This Doncaster promises to be a memorable edition, with many runners worthy of an each-way ticket. The Golden Slipper is generally the place to look when it comes to the Sires, given that’s where the best two-year-olds have run. Five of the Golden Slipper runners take their place in this field. The fillies have had the colts measure in juvenile grade for the last couple of seasons, and with Lyre winning the Blue Diamond and Kaimichi the Golden Slipper that trend has continued. Kiamichi has relished leading in heavy conditions to record back-to-back wins at 1200m, and the question now is whether she can keep going an extra furlong on ground that may be a bit drier. The market has underrated her at each of her last two wins, and does so again here with double figure odds available. Loving Gaby has run well in the Diamond and the Slipper, without really threatening either time, but comes up favourite here after giving the impression that she is looking for further. She is still learning what it’s all about. Tenley was heavily spruiked in the Slipper, and backed off the map, but didn’t do a thing on the heavy ground. If you’re willing to forgive that, you’re getting a good price. She could be a very good bet on a drier track. Microphone ran second in the Slipper, and is such a professional he will give himself a chance again. Dubious has been found wanting against the best horses, but can still improve. Outside of the Slipper horses, Castelvecchio was third in the Skyline behind Microphone and is up against it to turn the tables on that horse with a month between runs. Bellevue Hill split Yes Yes Yes and Dubious in the Todman before winning the Baillieu on bottomless ground. Sired by Pierro, he may try and control the race from the front and keep going. Strasbourg has finished behind Bellevue Hill both runs this prep, and is an inferior horse to that colt. A filly that creates a little bit of interest is Crystal Falls. She ran Kiamichi to a length and a half in the Magic Night, and came from near last to do so. If the speed is on, and the leaders can’t go on with it, she could very well finish over the top of them. Don’t forget to come back tomorrow for our previews of what promises to be a ripper TJ Smith Stakes, as well as the Australian Derby. Cameron Rose is a born and bred Melbournian, raised on a regime of AFL, cricket and horse racing. He likes people who agree with him but loves those that don't, for there's nothing better than a roaring debate.